Part-time position based on Lesvos, Greece (remote options possible). The route from Turkey to the island of Lesvos continues to be the busiest migratory route across The Aegean. Setting off in flimsy rubber boats, many people soon find themselves heading for rocks or sand banks that can readily capsize or sink a dinghy. Others are abandoned by smugglers who drop them at beaches inaccessible via land. Most people are wearing fake lifejackets. Refugee Rescue is now the only professional Search and Rescue team in the region and is a cornerstone of the Emergency Response infrastructure on the North Shore of Lesvos. In short: there is no one else left doing what we do. We are absolutely unique as the only consistently operational humanitarian rescue asset here. As long as people have no option of a secure and legal route to Europe, people will continue risking their lives in search of refuge. Our SAR crew, onshore team and Atlantic 75 rescue boat “Mo Chara" continue to be based in the village of Skala Sikamineas. The Boat Coordinator, Land Coordinator and our team of skilled volunteers are on call 24/7, 365 days of the year, always ready to respond in the event of an emergency. As the Media Coordinator for Refugee Rescue, you will involved with all facets of our communications output, inclusive of campaigns and fundraising. You will be responsible for driving an increasingly engaged and responsive social media presence, operating as the first point of contact for press enquiries, and in charge of managing both online and offline content catalogues. The position requires both quantitative and qualitative research skills, design experience and a high level of both written and spoken English. A current understanding of the wider humanitarian, political and migratory contexts is also an absolute necessity. While the position is part-time, hours can vary significantly according to need. You will report directly to the Refugee Rescue Programme Director. *Please note: this list is far from exhaustive. We are a small team operating in a highly changeable setting: flexibility is imperative. Are you the highly organised, conscientious and adaptable media guru Refugee Rescue is looking for? Please send your CV and cover letter to Hannah@refugeerescue.co.uk with “MEDIA COORDINATOR” in the subject line, along with your earliest available start date. Please also include a few examples from your communications portfolio; for example: an article you have written, a photograph you took with an explanatory text, a video you produced, coverage from an event you hosted or an overview of a campaign you ran. DEADLINE: 08/02/2019. Only shortlisted candidates will be contacted for an interview. My experiences as Media Coordinator for Refugee Rescue have been unique. As I think back over my time, I am grateful to have had such a varied role, pushing me to learn and perform many different skills. Given the current political realities in Europe, urgent and continued communication is of the utmost for organisations like Refugee Rescue. The act of assisting vessels in distress has, unfortunately, become a highly contentious act. As with any political action, it is necessary to communicate effectively through internal and external channels. The chance to make constructive additions to this public dialogue has been the highlight of my time with Refugee Rescue. I have now spent time working both remotely, and on the ground in Skala Sikaminias, Refugee Rescue’s home in the North of Lesvos. Skala is a small fishing village, but is an endlessly fascinating place to live and work. I would simply like to say thank you to the many residents who welcome us into their community and assist the work we do with open hearts. In regards to the role itself, it has given me the opportunity to put to use skills as varied as writing, photography, design, and public and media relations. This is not to mention the knowledge (and sometimes practical experiences) I have gained in emergency response, SAR (Search and Rescue) and the asylum process. 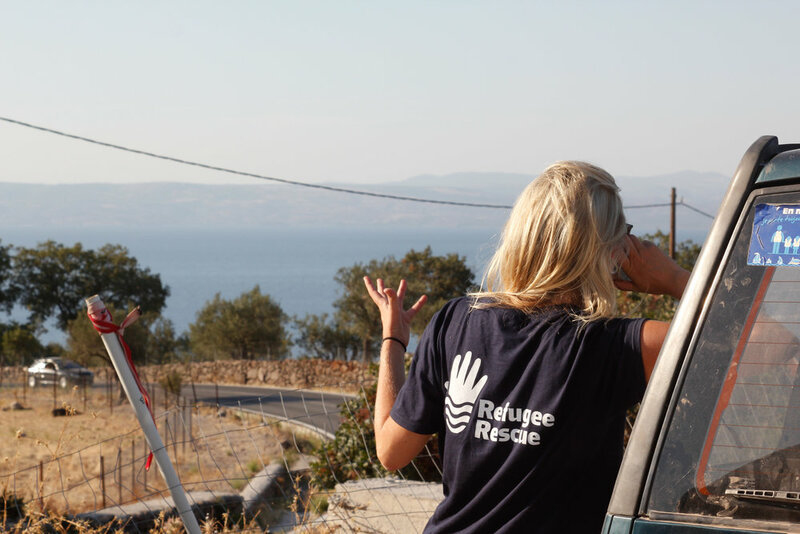 The team at Refugee Rescue is small, with a committed group of volunteers on both land and sea, supporting full-time coordinators. I have met some of the warmest and most passionate people on Lesvos, many of whom I now consider my closest friends. For this, and the many other opportunities the role has provided me, I am incredibly grateful. I can promise you the title ‘Media Coordinator’ is very much just the start of working with Refugee Rescue.